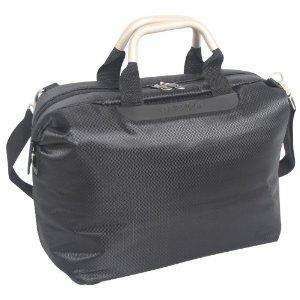 Sub Zero G World's Lightest Cabin Bag was £19.99 now £9.99 at Argos 286/9713. Great reviews. Plenty of stock where I checked. A good price I guess but I've seen lighter cabin bags. Indeed, I've seen scummers using binbags. Would I be fine buying this? Just picked mine up. These are still about £20 on amazon and eBayy, so these really are half price. The quality seems very good. I had a quick feel, and it looks like there are at least four layers in the construction of the bag. It has a firm base, with five pegs as the feet. The sides are padded too. The outer liner looks splash proof, the handles are thick and cool to thr touch. There is an external and an internal pocket, both zipped. The strap looks comfy, too. It looks well designed, and should hold plenty - especially as it really is very light.